Taliesin East, Spring Green, Wisconsin. Photo courtesy of Jim Steinhart. It’s finally here! The opening of the new exhibition on “America’s greatest architect.” Frank Lloyd Wright: Organic Architecture for the 21st Century opens to the public on Saturday, February 12. But there’s lots of opportunities before that to see it (and save money!). Keep reading! As always, Members see it first, and this exhibition is no exception. On Thursday, February 10, Members can experience Frank Lloyd Wright: Organic Architecture for the 21st Century in an exclusive 12-hour preview day, featuring lectures at 1:30 p.m. and 6:15 p.m. by Bruce Pfeiffer of the Frank Lloyd Wright Foundation, and chief Curator Brady Roberts, respectively. Tickets for both lectures will be available at 10 a.m. on that day, and are available on a first-come-first-served basis. Not a Member? Not to worry! You can sign up in person on Thursday and as a special offer, mention the code “SweetArt” and get a $15 discount on a Family/Dual Membership for the entire year. What a perfect Valentine’s Day gift for your loved one! Member preview continues on Friday, before the Museum kicks into high gear with MAM After Dark: Mr. Wright! This month’s after-hours event features a giant Lego pit (yes, a Lego pit! ), courtesy of the American Institute for Architects (AIA). Also on hand, the Sinatra-style croonings of Mr. Ed Franks, along with the music of the 88Nine Radio Milwaukee DJs. If you need more, join Chief Curator Brady Roberts at 7 p.m. for a special exhibition tour. And there’s always the DIY Studio, Photobooth, and as an extra feature this month, Jimmy Luv’s is back with a build-your-own Bloody Mary bar. Oh, and did I mention that Café Calatrava will debut its new menu this week? Inspired by the organic architecture of Frank Lloyd Wright, you can enjoy new taste sensations in Café Calatrava, while still savoring some of your favorites! Whew! I’m exhausted, and the week hasn’t even started yet. Head down to the Museum, and get to know Frank Lloyd Wright all over again. For a complete list of events at the Museum, you can go to http://www.mam.org/. 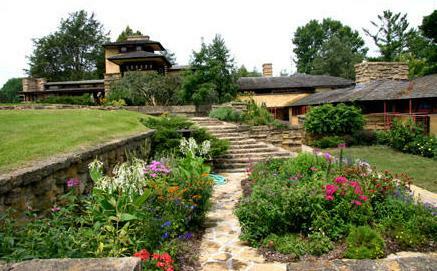 This entry was posted in Art, Events, Exhibitions, Membership and tagged architecture, Frank Lloyd Wright, News. Bookmark the permalink.